Our HT Miss Seery introduced the teaching of Makaton and BSL and the children LOVE it. They sing and sign simultaneously and it is wonderful to listen to and watch. It has become a normal part of our school week so we don’t really think it’s out of the ordinary. 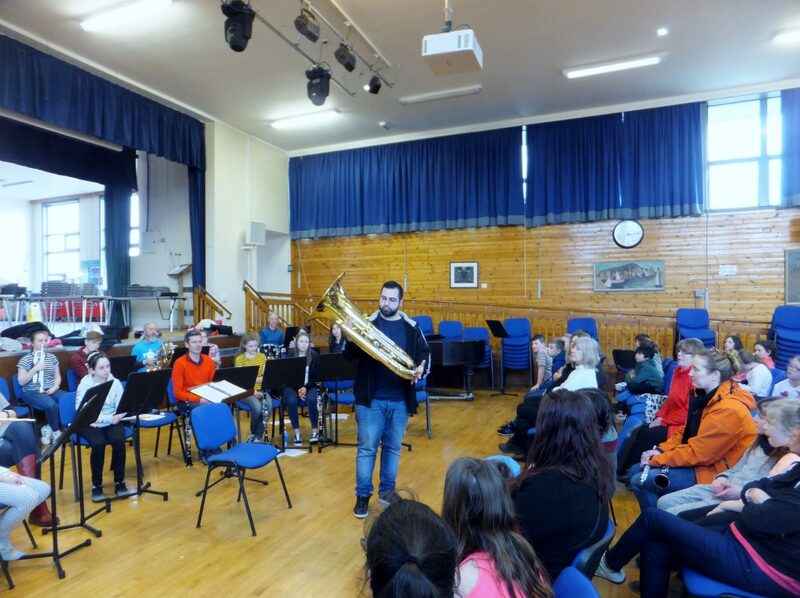 The BBC Scottish Symphony Orchestra (BBC SSO) have been working with primary and secondary school pupils across Kintyre as part of a week-long residency in Campbeltown. Pupils have taken part in performances and song writing workshops with BBC SSO musicians, including a special workshop on Gigha. The pupils created their own songs based on Mussorgsky’s “Pictures From an Exhibition”, inspired by characters in the paintings which inspired the music, including the “Troll King” and the “Ballet of the Unhatched Chicks”. Super Staff at North Bute Primary! 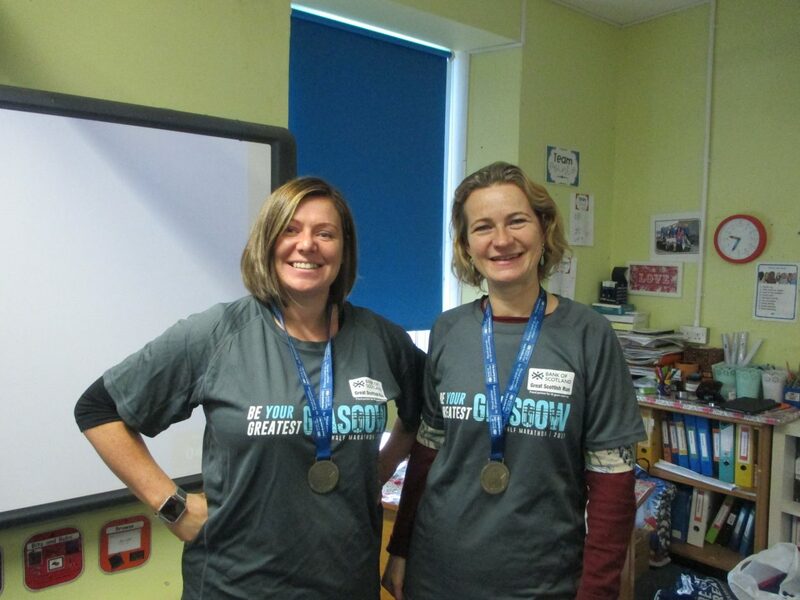 Everyone at North Bute Primary is very proud of Mrs McFarlane and Mrs Santos who completed the Great Scottish Run to raise money to help kit out our new Science Classroom and launch the boat that we have been making in partnership with the local boat yard. 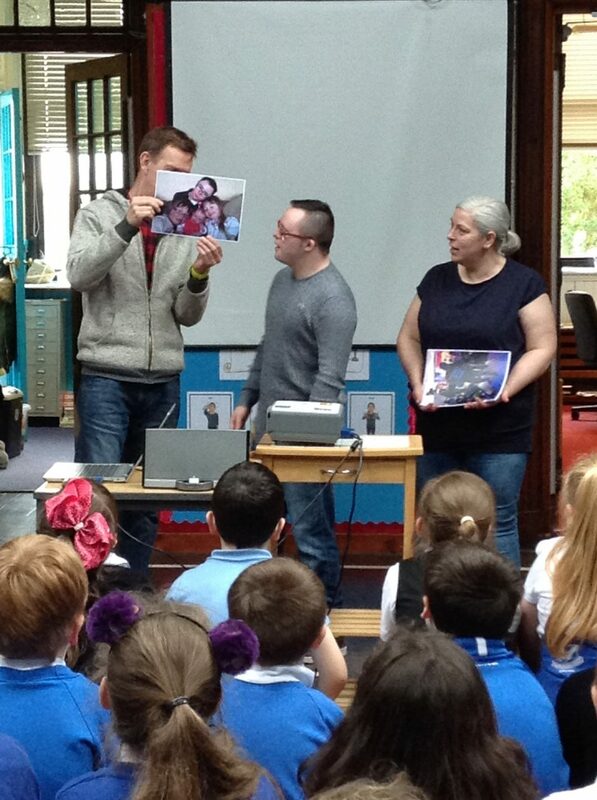 Rockfield Primary Gaelic classes were delighted to receive an invitation from The Scottish Book Trust to showcase their hard work and endeavour at a celebration event for The First Minister’s Reading Challenge. 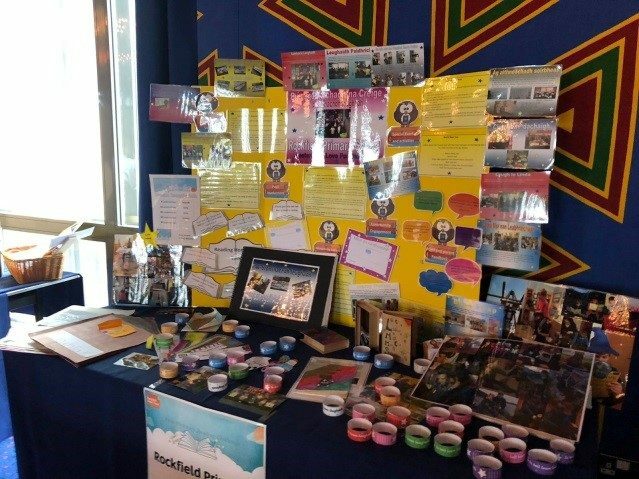 The event was held at ‘The Hub’ in Edinburgh on the 20th June and Rachael Deans (Principal Teacher Gaelic), accompanied by Gaelic pupils Rufus Hughes (P5) and Bethan Neil (P4) had a great time sharing their work with the 400 strong audience as well as The First Minister Nicola Sturgeon herself. 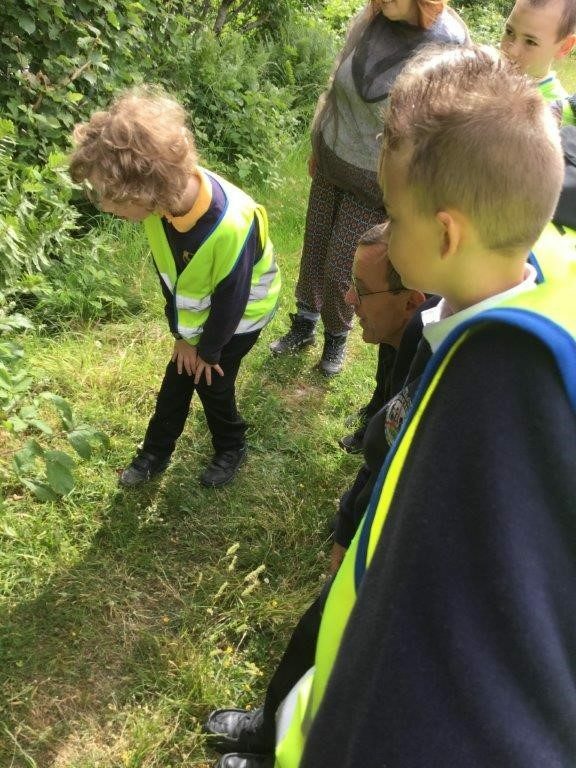 Minard and Furnace Primary Schools had a fantastic shared Summer trip out with a Mini beast hunt at Bellanoch on the Crinan Canal. This was at the end of our Nature detectives and Minibeasts topic. Oly and Pete from the Heart of Argyll wildlife Project took the pupils and staff on an amazing quest for wildlife and flowers in the wild grass verges of the canal. It was amazing what we found from spiders to caterpillars and even some unidentified egg-like items. Oly and Pete have promised to let us know what they are. 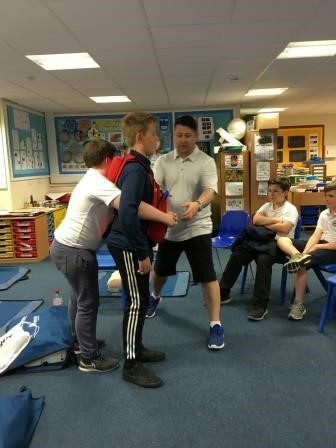 The Primary 6/7 class at Sandbank were all lucky enough to receive training in first aid last week, as part of their Health Week activities. Heartstart trainer, Melville, visited our class and showed us how to deliver basic first aid, including CPR, and what to do if someone is choking. We all enjoyed trying out CPR using the Resusci Annie mannequins and practising to deliver abdominal thrusts using the choke vest. The Hermitage Primary school football team travelled to Hermitage Academy to take part in the annual Christian Aid football tournament. The boys played very well on the night winning all of their group games, scoring 17 goals and conceding 0. In the semi-final they played Lomond and despite conceding their first goal of the tournament they won the game 7-1. 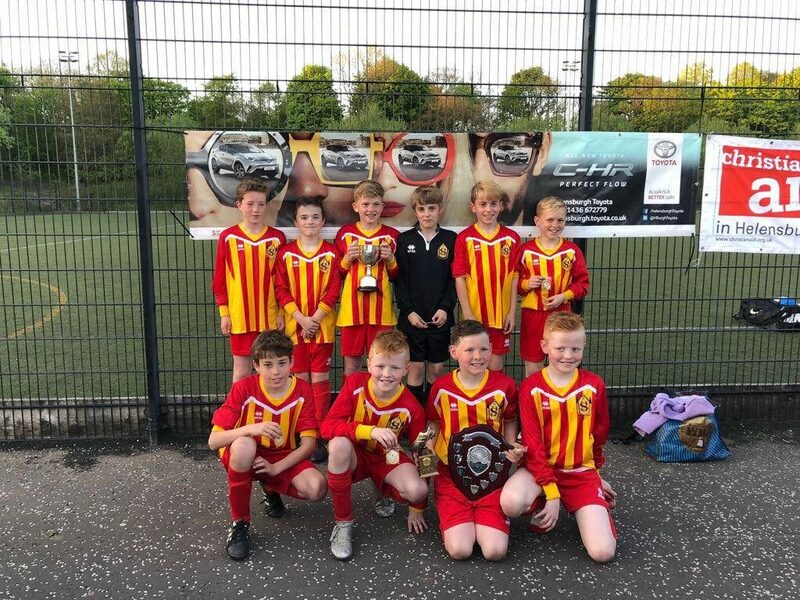 In the final they faced Cardross who they had already beaten in the earlier group stages. Kirn Primary School applied for Food for Thought Funding with DGS. 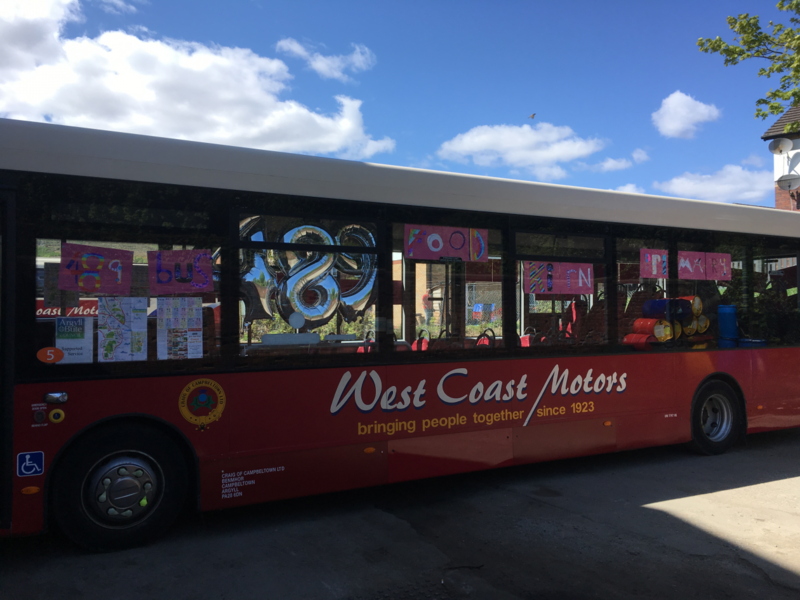 Our intention was to embed in our school and local community an understanding of food education which permeates all areas of school life, curriculum and home. 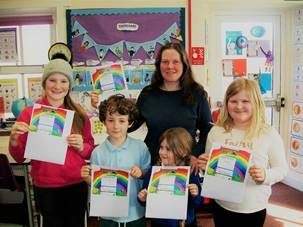 During the Lenten period, the pupils of St Mun’s Primary were challenged to organise and run events to help raise money for two important charities: SCIAF and The Cowal Hospice Trust. Throughout March, a variety of activities took place: a Bring ‘n’ Buy Sale, Easter Egg Hunt, Guess the Name of the Easter Bunny Competition and a Chocolate Tombola. P.6/5 researched Scottish recipes and produced their own Cookery Book and P.7/6 ran a Coffee Morning to which parents and parishioners of Our Lady and St Mun were invited. Please come along to this free event as part of your Career Long Professional Learning (CLPL). The training is open to all primary and secondary teaching staff with an interest in language learning and teaching. 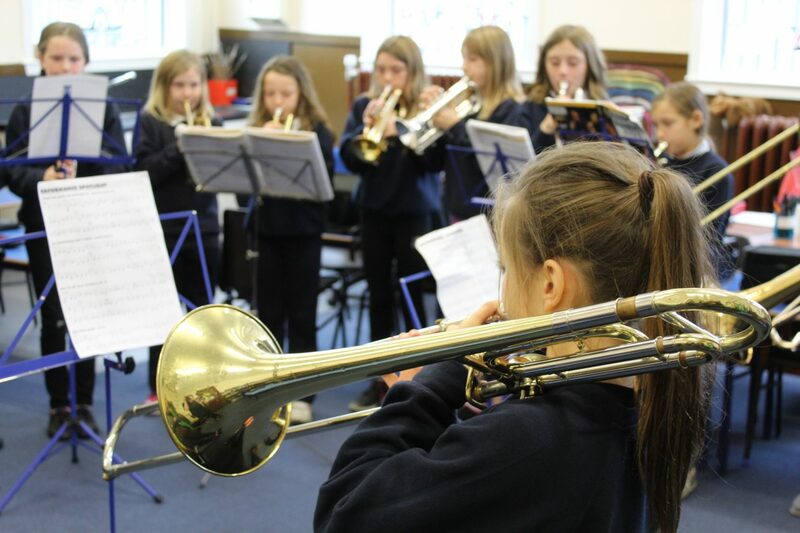 Are you interested in developing your skills in delivering music in the classroom? class, regardless of your musical experience. Kilchattan School’s young poets are getting published. The pupils of Kilchattan School have been working very hard on their creative writing skills and have produced lots of interesting work. The topic this term was poetry so they thought they would have a go at entering the Young Writers “Little Riddlers” and “Rhymecraft” Poetry competitions. They were all very excited to learn that all 5 of their poems are going to get published. Well done all! Rugby with Furnace and Achahoish. The Islay Primary Schools Bands had a fantastic Band day last Saturday 24th February 2018. Eight professional musicians travelled from the mainland to work and play along with our young musicians. St Joseph’s Sweeps the Board! 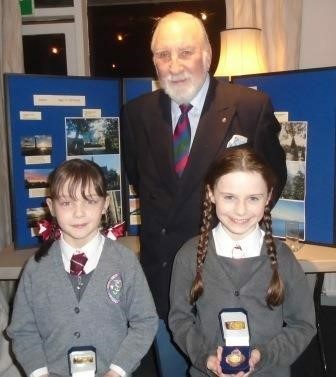 What a great evening St Joseph’s had last night at the Young Writers and Young Photographers prize-giving in Helensburgh. Many schools in the area took part in these two annual competitions but St Joseph’s managed to have FOUR winners altogether. Imogene won second prize and Grace won third prize in their category in the Young Writers competition whist Olivia won First Prize in the Intermediate section of the Young Photographers competition and Orla won First Prize in the Junior section in the same competition. A packed hall of family, friends and members of the community enjoyed a terrific evening of music, dance and entertainment at our recent ceilidh. The children enthusiastically performed their songs and ceilidh dances and it was a great opportunity for the highland dancers to showcase their talents along with our instrumental performers (on chanter, accordion and violin). 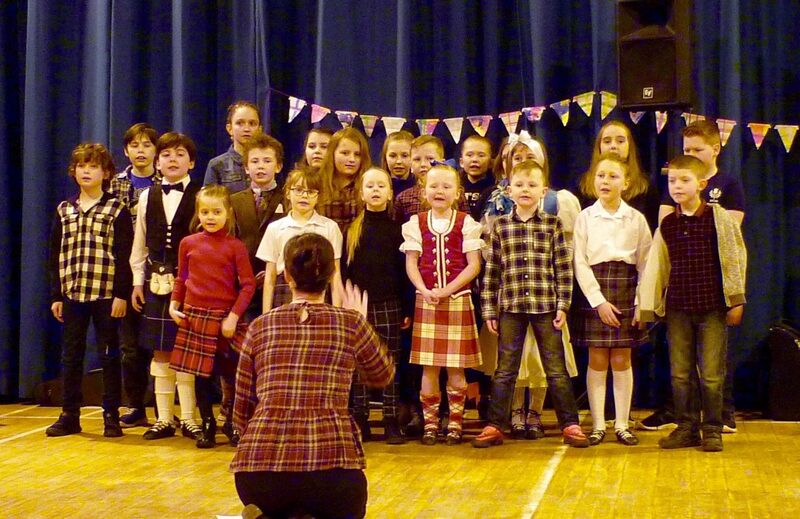 Pupils at Arinagour Primary School had their annual Burns’ Supper at the Island Café on Thursday. The pupils entertained their audience with speeches, songs, poems and a Highland Fling. A packed village hall last Thursday evening enjoyed a wonderful performance of ‘Cinders’ by Strath of Appin Primary School pupils and nursery children. In just over two weeks the pupils pulled out all the stops to learn their lines, song words and dance routines which got everyone in the Festival mood. 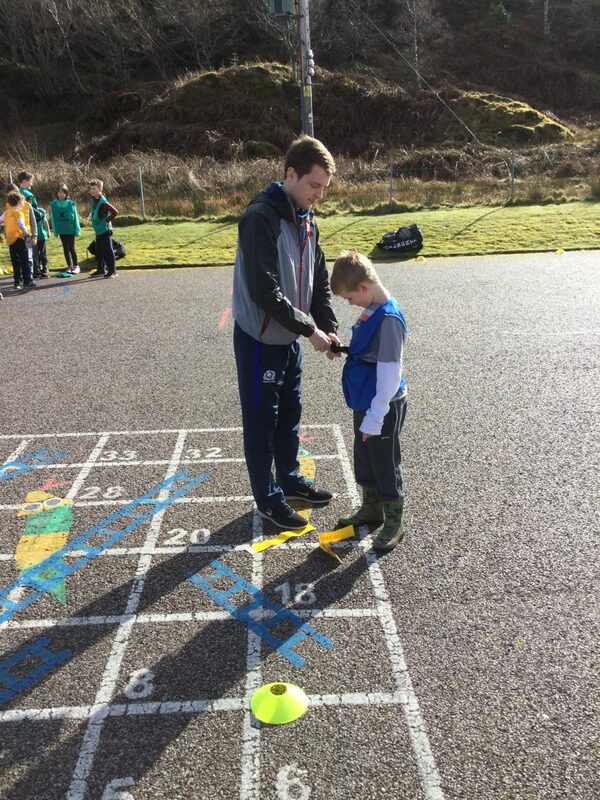 Rockfield Primary 7 pupils experience wonderful outdoor learning! Primary 7 pupils from Rockfield Primary participated in a 5 day adventure to Ardentinny Outdoor Learning Centre, near Dunoon. 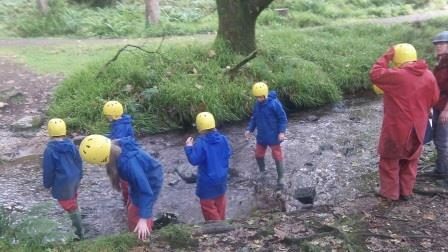 The pupils were able to participate in a whole range of activities, such as canoeing, gorge walking and team building. They were split in to day time activity teams and then at night time, were able to share dormitories with their friends. They made their own beds, tidied the dorm and set up the dining hall for the next meal. 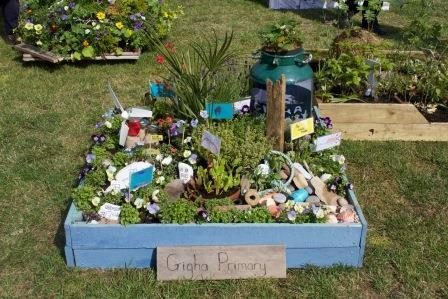 Isle of Gigha School wins My Favourite Pocket Garden Award at Gardening Scotland 2017! Isle of Gigha School and Community are very proud to announce that Bailey Bannatyne’s Gigha Garden, inspired by our beautiful island has won the My Favourite Pocket Garden Award at Gardening Scotland 2017! Visitors who voted convincingly for Bailey’s design were entertained and inspired by her creativity and attention to detail. They especially enjoyed how the garden encapsulated the children’s love for their island and its beautiful natural heritage. SAL is where our educators, pupils and the wider community can tell everyone what is happening in our classes, schools, nurseries or groups… everything from composting to composing! Use the search facility below to FIND INFORMATION regarding a particular school, establishment, department or topic and use the ‘posts by category’ list at the bottom to LOCATE EXAMPLES of a variety of curricular areas. CONTRIBUTING to SAL is easy! Click here for sharing instructions.